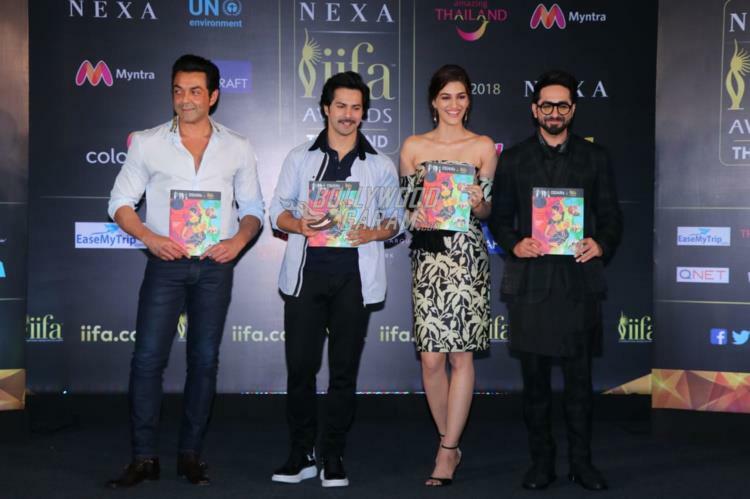 Bollywood stars Varun Dhawan, Rekha, Kriti Sanon, Bobby Deol and Aayushmann Khurrana attended a press event hosted by the IIFA in Mumbai on June 12, 2018. The IIFA is ready to host a grand three day event in Bangkok from June 22 to 24, 2018 for the awards ceremony and is already hosting a number of press events. 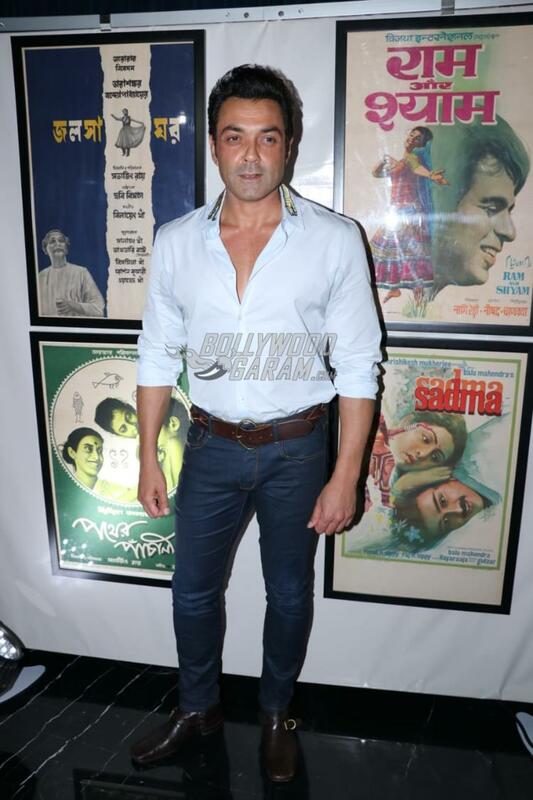 Bobby, who is currently promoting his upcoming film Race 3, during the event expressed how people’s affection and support mattered more than the awards and critical acclaim. 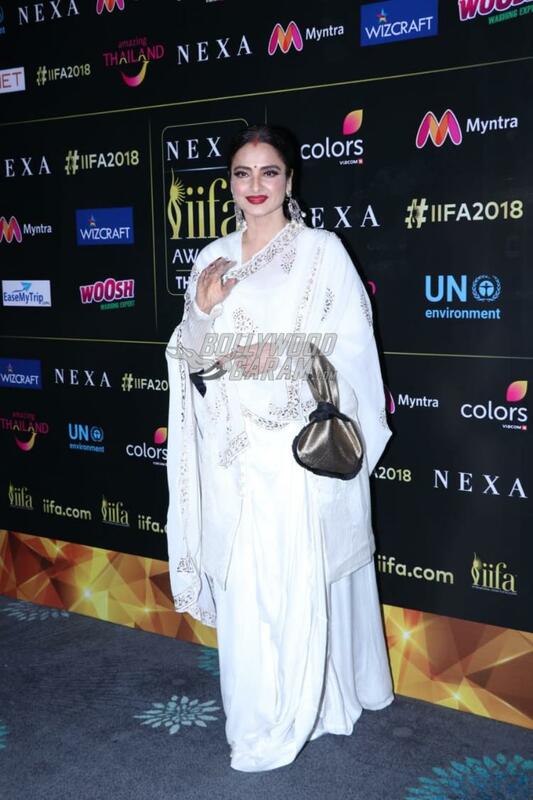 Veteran actress Rekha, who was also present at the event, is also expected to perform at the IIFA Awards. The actress looked pretty in a white ethnic outfit. Young actor Varun Dhawan was seen in his Sui Dhaaga: Made In India character and was seen posing for the shutterbugs. Kriti looked pretty in an off-shoulder black and golden outfit. The IIFA was first organized in 2000 and has been held at 18 international centres so far.